Lego and McLaren have joined forces to create a 1:1 scale version of the Senna – although it's significantly heavier and goes nowhere. This is not the first time Lego has joined forces with McLaren, that time they did a Lego-built 720S, but this one takes it to a new level. 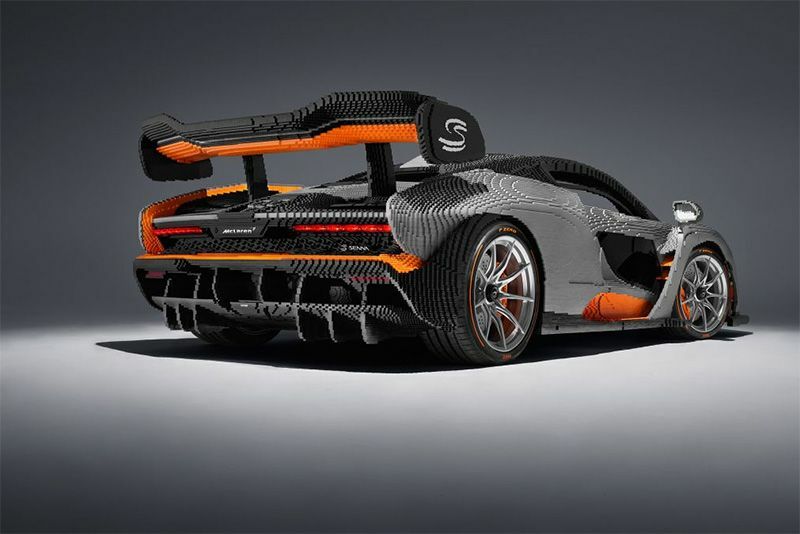 This 1:1 scale model of the McLaren Senna is built almost entirely from Lego blocks – 467,854 of them to be exact – and took a whopping 4000+ hours to complete. That's nine times longer than the actual car. Besides the Lego bricks, there are components from the real the model that have been incorporated, such as the wheels and tyres, carbon fibre driver’s seat, pedals and badges. What's really cool are the functioning dihedral doors that can be removed to give better access to the polymorphic interior. Once assembled, the Lego Senna tips the scale at 1700kg, that's roughly 500kg more than the real car but, considering the interior is made up of 200,000 Lego pieces by itself and then there's that humongous rear wing – which is a feat of construction too, it's not surprising. Unlike the Lego Bugatti Chiron we saw not too long ago, the Senna is not driveable but there is a starter switch which, once pressed, plays audio of the real thing. Whoopie, I guess. You will be able to see the plastic car at various McLaren events during 2019, such as the upcoming Goodwood Festival Of Speed. Obviously, you can't actually buy this Lego McLaren Senna, and even if you could it would probably cost as much as the real one. You can, however, buy a Lego McLaren Senna – a significantly smaller version like the one in the video below.